If you are looking to produce your own unique camellia cultivars, or just like the challenge of something new, then growing camellias from seed could be what you are looking for. 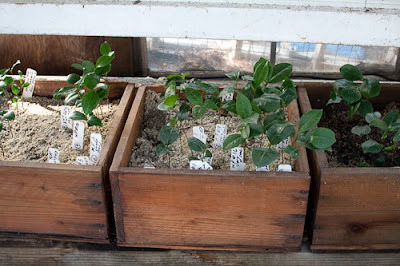 Just be aware that camelias hybridize easily and so any resulting seedlings are unlikely to grow true to the parents. Over a good summer you can expect most camellias produce at least a few seedpods, although this is never guaranteed. These usually become noticeable from the end of July, however you will need to wait until the seed pods are fully ripe before collection. This is indicated by the outer casings splitting open, usually in late October to early November. 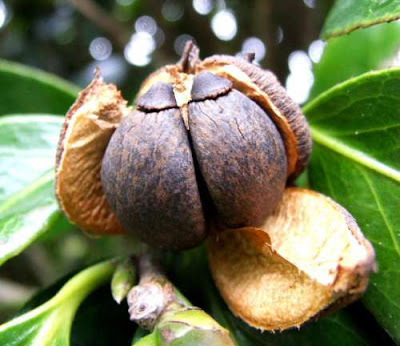 Pick off the seed pods as soon as they open, but before the seeds fall out. Each seedpod should contain at least two or three seeds but only use the viable seed which will be about pea-sized. Any mature pods that have not split can be pried open with a knife. Do this over a bag, box or another container to collect the fallen seeds. If the seeds are dark brown to black then they will be ready for collecting. If they are still white then wait to harvest the remaining pods until a few more crack open. Plant the seeds immediately or store in the refrigerator in an airtight bag until planting time. You do not need to dry out out the seeds before planting. Soak the seeds overnight before sowing, then fill 9cm pots with ericaceous compost and sow one seeds onto the surface of each pots with the eye facing either down or sideways. Camellia seeds require the presence of light to help encourage germination so lightly top the pots with horticultural grit or vermiculite. Avoid using tap water unless it is naturally or otherwise soft as this will reduce acidity within the compost. Alternatively water with rainwater. Keep moist and place the pots in a cold frame or against a wall in the shade covered with a sheet of glass or perhaps more safely with a sheet of clear perspex. Seedlings can take between one to several months to germinate but you can expect most of them to emerge in the spring. 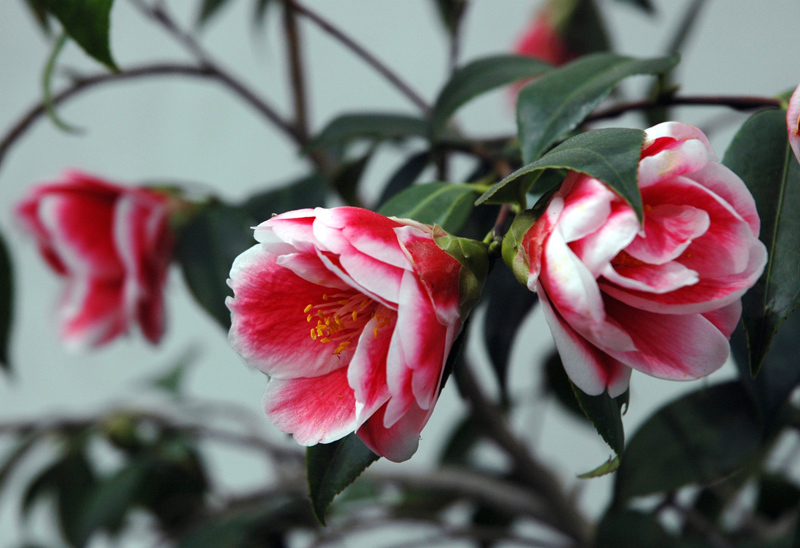 Camellias are known for their long taproots and so consider pinching these out to promote the growth of fibrous roots. Once the roots have established they can be potted on into 1 litre pots then 3 litre pots before planting outside into their final position. Be aware that it will take a further six to eight years before they flower.